Although today’s disposable razors are far from what the original disposables were, they were a step in the right direction in a razor for shorter-term use that had a definite end t its life and usefulness. Years later…enter the plastic disposable razors that we know today. Are these new disposable razors recyclable? Well, yes and no. The plastic is technically a recyclable material, but when it has a metal blade attached, it becomes a mixed commodity and will most likely be landfilled if it’s not separated before the recycling process begins. It’s very costly and virtually impossible to separate some commodities in order for them to be recycled. In these cases, items end up in the landfill. “The EPA estimates that 2 billion razors are thrown away each year.” In the United States, over two billion plastic razors are thrown away each year, but a significant amount doesn't end up in landfills. 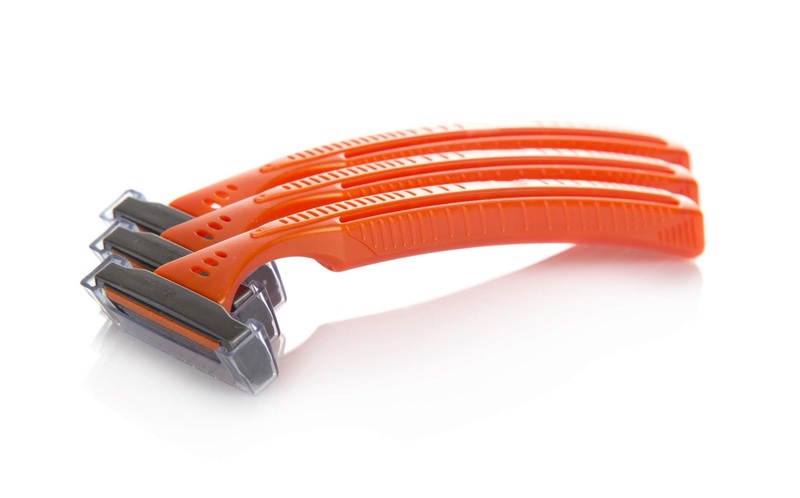 Considering that the average person shaves 2-3 times per week and a disposable razor lasts for approximately 10 shaves, each person who shaves with disposable razors replaces them about every 5 or 6 weeks. Multiply those numbers by each person of shaving age and several hundred thousand disposable razors get used each year and, most likely, get thrown away. Some smaller recycling centers can accept disposable razors but some cannot. Check with yours to see if you can add razors to your recycling.